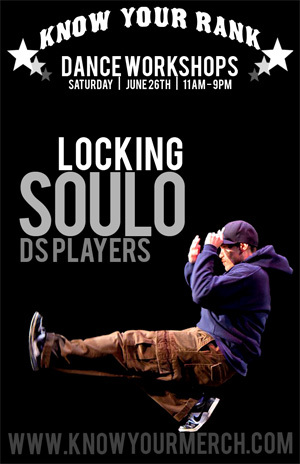 Teaching a locking workshop for KNOW YOUR RANK this Jun 26th. Planning on teaching an all level class good for basics, as well as intermediate to advanced who want to learn anything else from variations, power, etc. Something for everyone here. Get your pre-sales quick. The instructors line-up is sweeeeet! After teaching, gotta head over to Up Jump The Boogie to judge and showcase with my Groovmekanex brothers! GET PRESALES NOW BEFORE WE SELL OUT!